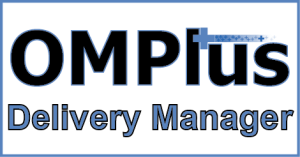 Plus Technologies has released a new version of OM Plus Delivery Manager (DM). OM Plus Delivery Manager is Plus Technologies’ print spooler management software. In addition, some changes were implemented into this new version of DM for Windows. Specifically, these changes include fixes, improvements in page counting, and support for PrinterLogic integration. Overall, this is a maintenance build to fix bugs. Moreover, Plus Technologies has heavily tested the changes in extremely high volume scenarios. This new DM version is specifically for Windows and the version number is 2.7.0.0006 and is currently available. OM Plus Delivery Manager (DM) is advanced, intelligent print spooler management software. Delivery Manager seamlessly ingests jobs from multiple systems and delivers them to printers, multifunction devices, fax software, email systems, and more. Generally, changes are not needed to existing ERP/EMR systems. OM Plus print spooler management software features include: print confirmation, re-printing, re-routing, automated failover, load balancing, bundling, re-sequencing, and much more. Plus Technologies’ print software solutions are based on our core OM Plus Delivery Manager software. Delivery Manager (DM) provides the core infrastructure such as: ERP/WMS/EMR integration, print job routing, confirmation of delivery, and administrative features. Also, based on customer requirements we can add features such as My-Print-Delivery (MPD) for pull-printing, Tamper Resistant Print (TRP) for Rx printing on plain paper, i-Sat for secure/plug & play internet print delivery for remote locations. In addition, we can add features such as Stats Manager (SM) for print/copy/fax/scan usage analysis, Fleet Manager (FM) for device/consumables management, and more.